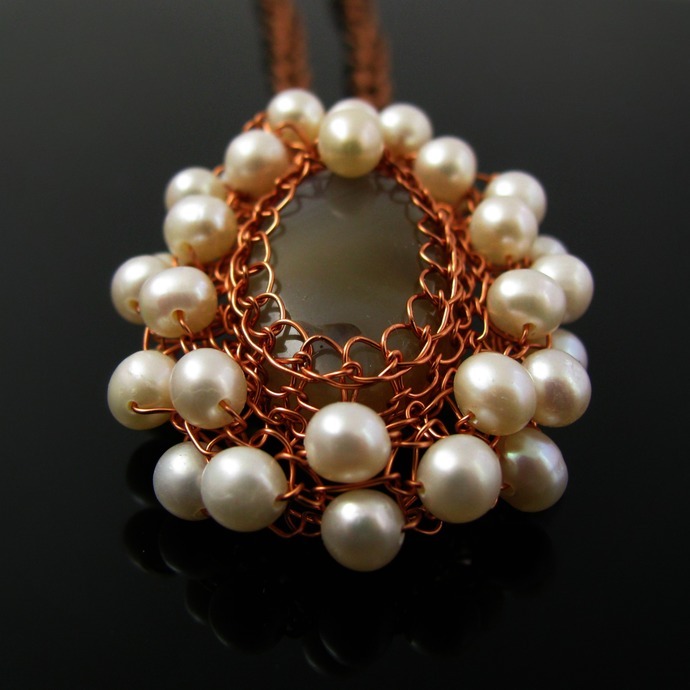 Inspired by vintage designs I created this pendant from an agate cabochon, copper wire and freshwater pearls. 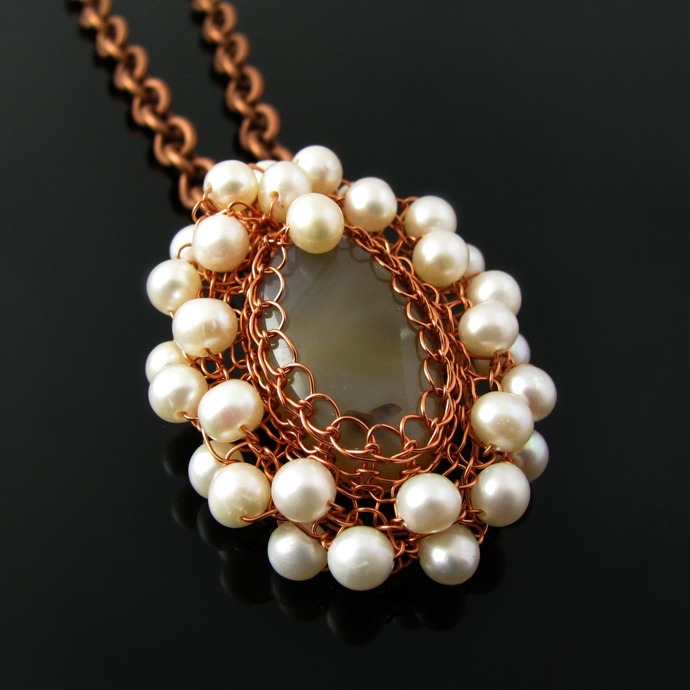 It has an elegant and romantic look. 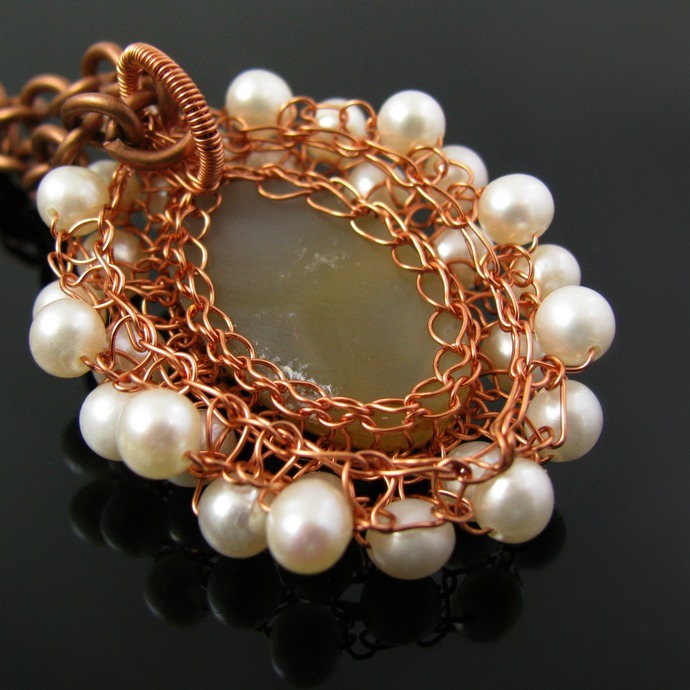 The agate is caught in a bezel knitted from a warm golden colored copper wire with a crochet hook and surrounded by two rows of white freshwater pearls with an extra pearl for added interest. 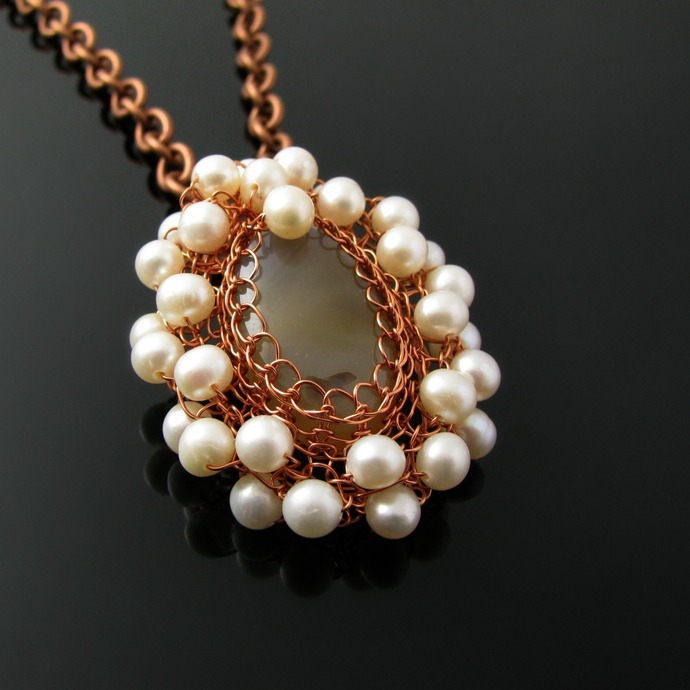 The pendant is 4 cm or 1 1/2 inch high. 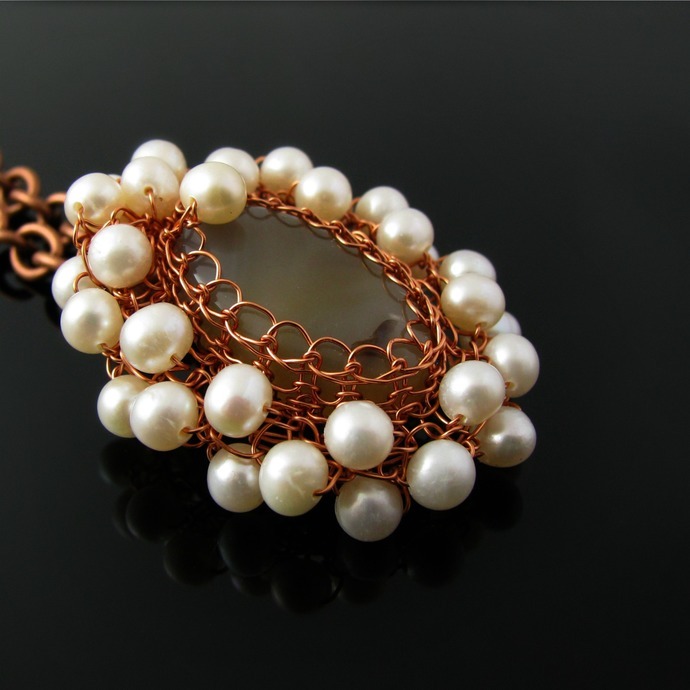 The handwrapped bail is hidden in the back. I have been asked about the wire. 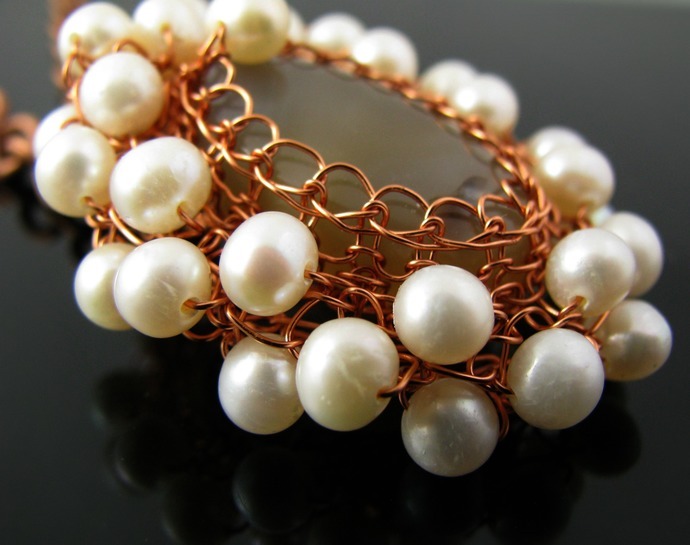 The supplier calls it a warm gold and it is indeed no pure copper which means it will not tarnish.